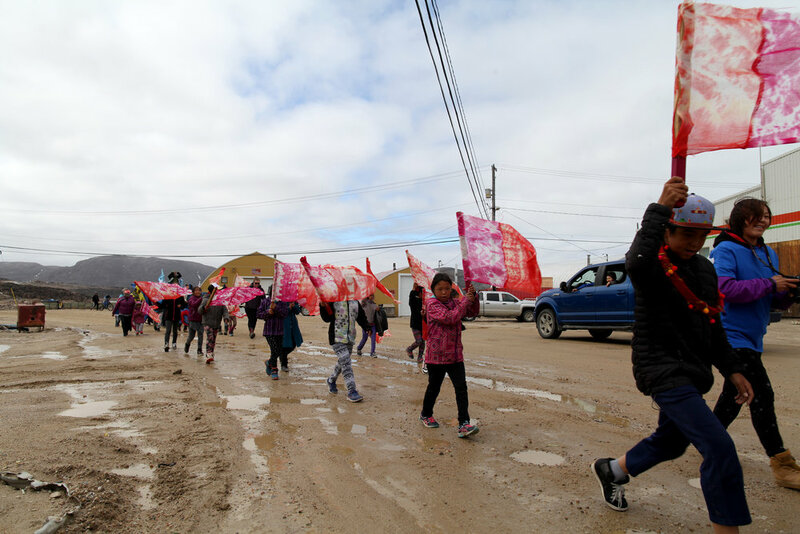 Over 70 youth came together for the Quviana Parade. 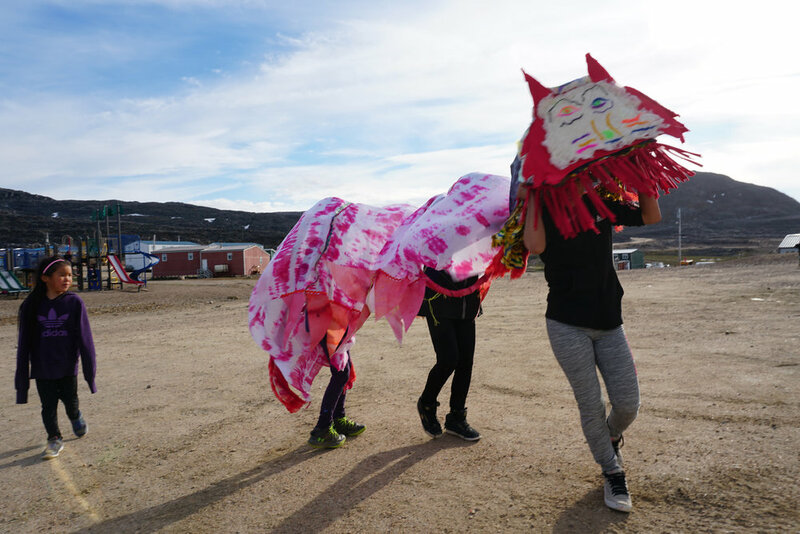 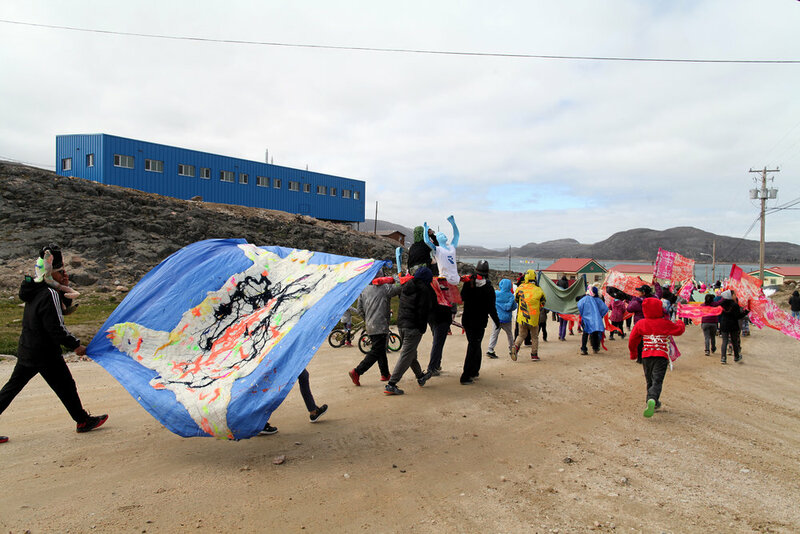 Alongside other participants from the community, the youth chanted and danced through Kinngait, celebrating what they love to do: hunting, going on the land, eating country food, bouldering, art-making…it was an anti-boredom protest. 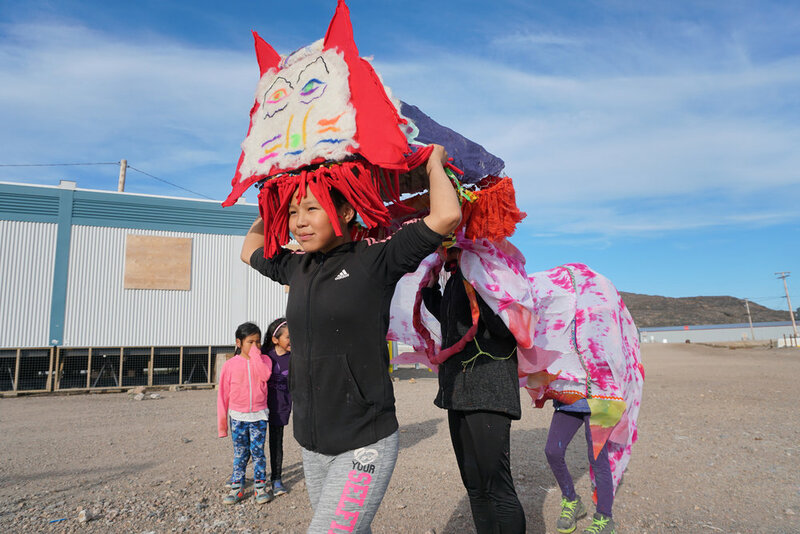 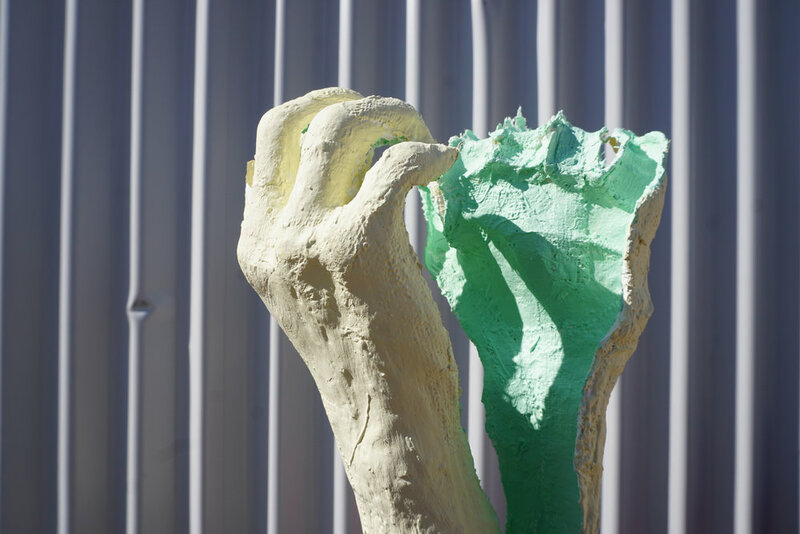 Over three months youth learned new skills, like felting and plaster-casting, to create costumes, banners, and sculptures that enlivened the community with a collective action animated by colour, imagination and playfulness. 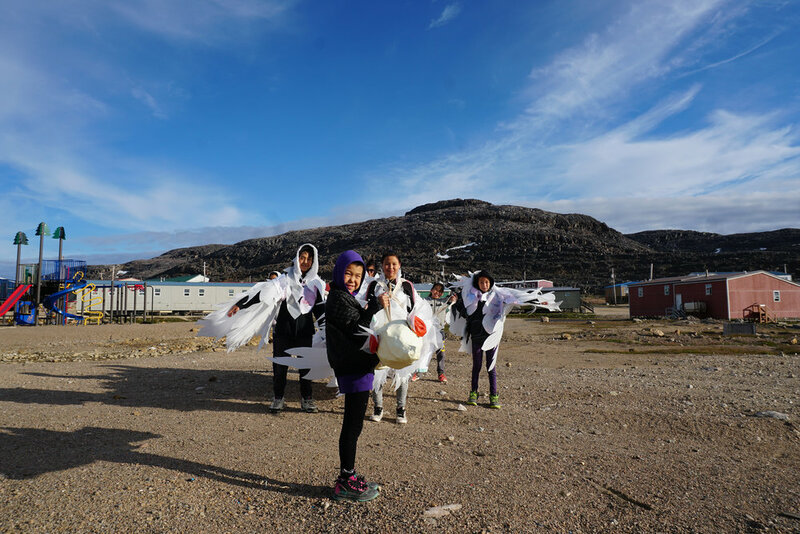 At the head of the group was a dog team and hunter in costume, led by the one and only Iqaluk Ainalik aka Iguana. 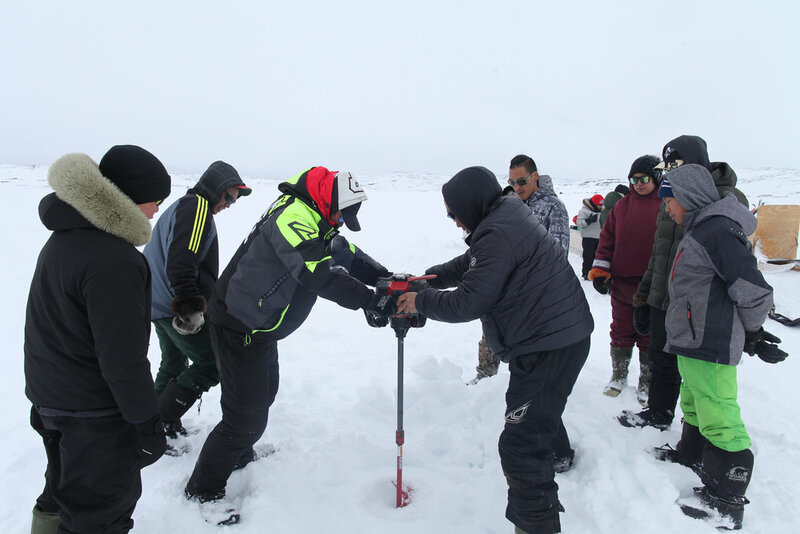 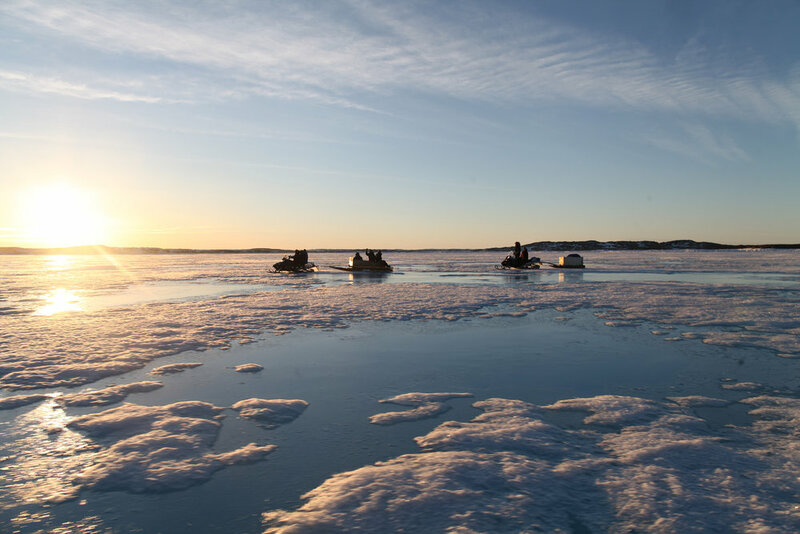 Conceptual Process was tied to four fun land-trips to go ice fishing, seal and goose hunting led by Elder Kov Tapaungai, Ettula Adla, Joseph Pinguartuk, and Mosha Ragee, including storytelling about life with dog teams by Kov. 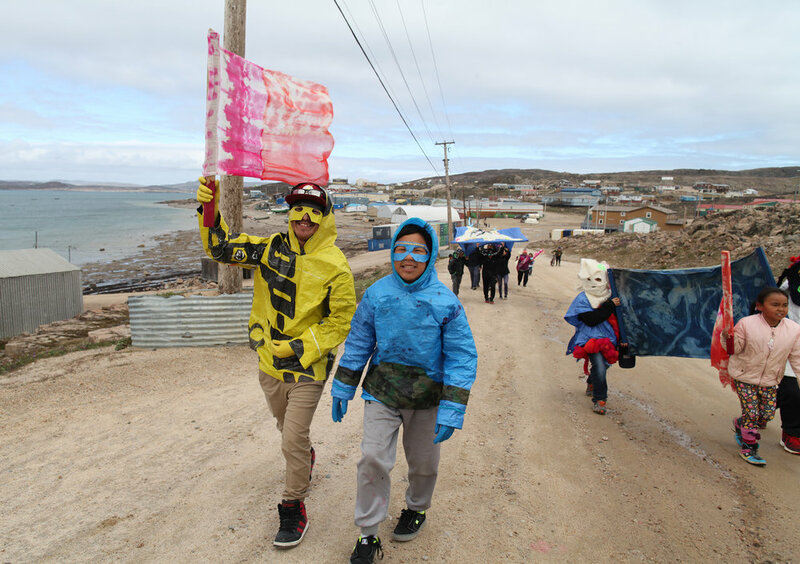 Large groups of 8-11 year olds were engaged to tie-dye the flags, and help paint wooden cut outs with mentors: Annie Oshutsiaq, Iqaluk Quvianaqtuliaq, Moe Kelly, Harry Josephee and Dennis Hayward. 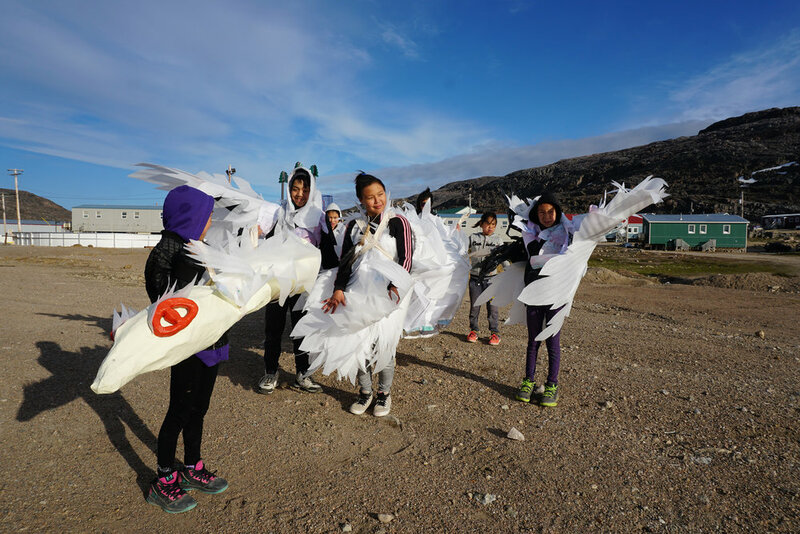 In Nunavut, youth hunt geese simply with a rock and a skilled throwing arm. 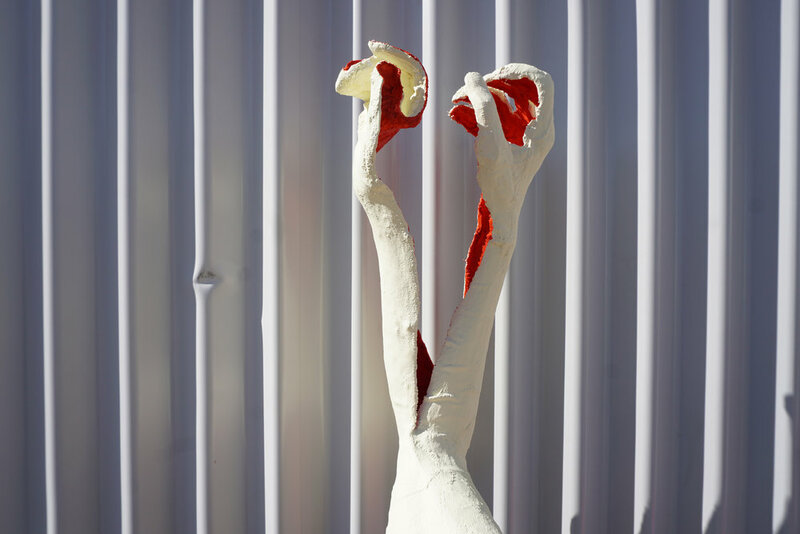 It was the season for it, which inspired this element of the parade. 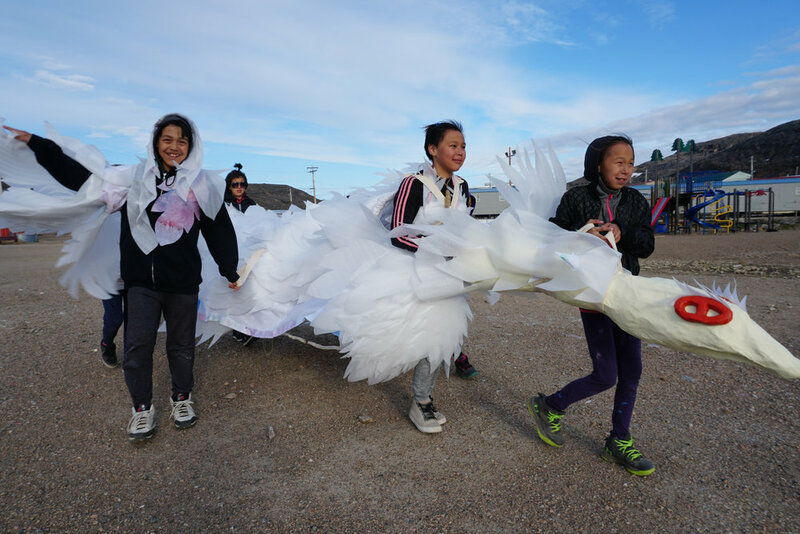 Youth cast each other’s arms which were carried behind the goose. 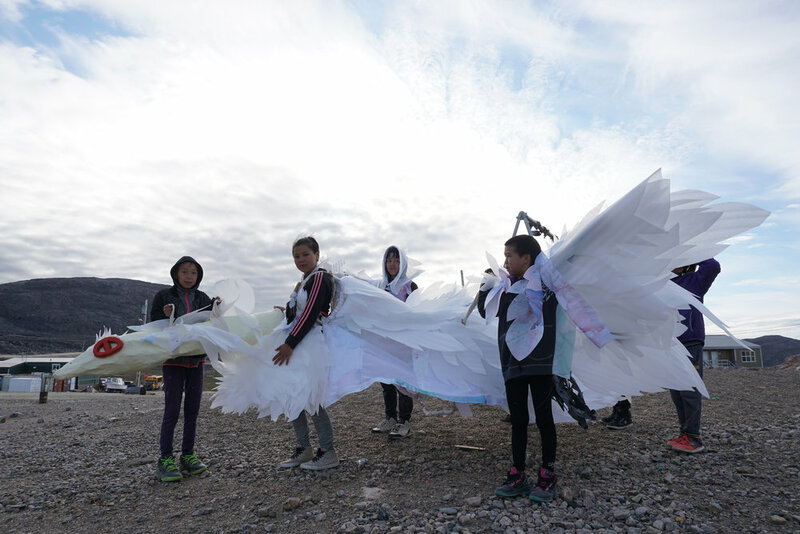 Goose Design Collaboration: Janine Manning, Aggiu Ashevak, Christine Adamie, Moe Kelly, Iqaluk Quvianaqtuliaq, Leah Mersky and Alexa Hatanaka.